First, let’s start with Oscar talk. There are 10 animated shorts line-up for 3/5 spots at the Academy. 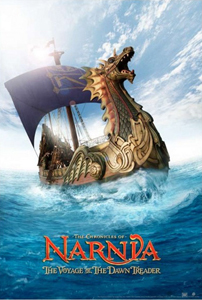 First, let me just say that when the trailer for Dawn Treader came out, I thought it looked terrible. The CGI work in the film looked positively subpar in comparison to what you thought of Lion and Caspian when they came out. I also wondered why I couldn’t remember any details in regards of the book, since I’ve only read the series once. Except for the annoying cousin, I was blank. The Voyage of the Dawn Treader tells the story of Edmund and Lucy Pevensie who stayed over at their cousin Eustace’s place as they’re separated from their family… including Susan and Peter. Eustace is annoying, played very convincingly by Will Poulter (Son of Rambow), he’s loud, whiny, a complete pain. Then one day as the cousins are arguing in a room that includes a painting of a ship at sea, water starts dripping from the painting. The room fills with water, and they’re transported to Narnia. Edmund, Lucy and Eustace — who’s freaking out by now — get rescued by Prince (now King) Caspian and his crew, plus Reepicheep, on board of the Dawn Treader in search for the 7 allies of Caspian’s kingdom who were betrayed by his uncle when he took power. Stopping in the first kingdom/island, they discovered a group that’s been taking people away to give them as offering to something known as “The Green Mist”. Aslan’s totally against this Green Mist, so Caspian, the Pevensie bros, Eustace and company must trail the rest of the kingdom’s allies, get their swords together, and vanquish the Green Mist. Looking at these not-longer-kids makes me feel old. Lucy (Georgie Henley) is even more grown-up that I remember from Caspian. Same thing for Edmund (Skandar Keynes). Peter (William Moseley) and Susan (Anna Popplewell), however, look ageless. At least they do on the film. Because my expectations were low in regards to the CG and the conversion, I must say Dawn Treader delivers better than expected. The fakeness of the CG in the 2D trailers was lost in the 3D conversion which made the picture darker and blurry. You can’t have crisp action, that defeats the purpose of action. Also, the shots use in the film work quite fine as “3D” shots, you could even believe they had thought in terms of 3D environment. The problem with Dawn Treader, however, lies in that it’s pretty thin on story. Even in the book, it seemed to only work as an introduction to Eustace… maybe the reason why that’s all I remember about the actual book. The film also includes some very cringe-worthy dialog, but maybe that’s an issue with the dubbing I had to watch. But I did enjoy it. What the movie makes better than the book is that it fixes the pacing, there’s a lot of action going on while they’re on their way to search for the allies and their swords. They also make a great build-up for Reepicheep, despite the lack of screen-time he’s had in the movies, to give him a deserving send-off. Actually, it’s probably my favorite scene — despite the blatant Christianity hitting me in the face always on the series, I’m rather fond of how the series ended. However, I wish they had done something more emotional with Lucy and Edmund’s Narnia farewell, because I felt Susan and Peter’s were much more serious, much more felt… after all, we won’t see Lucy and Edmund! We could see a glimpse of Ben Barns as Caspian on The Silver Chair, but not Keynes and Henley. I hope they do make it to The Silver Chair, and The Last Battle… even cooler if they make The Magician’s Nephew. I really REALLY hate The Horse and his Boy, though. Following AM’s advise on better blogging, I thought it’d be cool to follow through with my post on “What I Like about Japanese Cinema” which I wrote for the J-Film blog-a-thon last year. So now I’m going to be talking about Hollywood movies! And by “Hollywood” I mean American films. Since I’m more familiar with commercial Hollywood stuff, while I’ve only begun catching indie flicks online (or when I was in Canada) for the past few years. 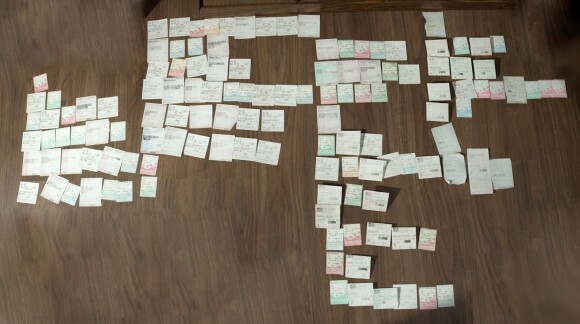 My current Facebook Flixster movie count says that I’ve rated 2431 films. Of course, that’s only counting the films that I’ve been able to find in their database (american, foreign, commercial, or indie), and I’m far too lazy to send them stuff now. My MUBI account states I’ve rated 1450, so that should give you a proper average… I think. So what do I like about Hollywood Movies? 1. Ah… the Hollywood Golden Era. I’m familiar enough with Garbo and Crawford to know that I loved their films. 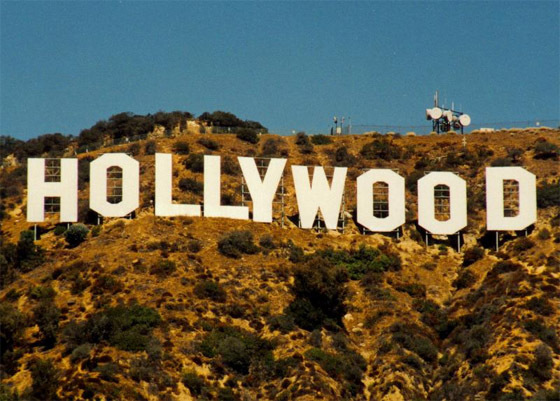 And it’s fact, LOL, Hollywood created movie stars, and actors went to Hollywood to become movie stars… and I love movie stars. I always complain now that they don’t make them like that anymore. 2. No matter how Indie they are, they still look sharp and clear. There’s something my mom always tells me when we, for some odd reason, end up catching a clip of any local – hint: non-American – film, “Why do films here look like they’re stuck in the 70s?”. It isn’t that the local cinema shows the great quality of films in the 70s, here they just look like they’re stuck with the technology. 3. You guys have mastered the art of pseudo-indie. Right? I mean, you have also begun to call these films Hipster… in a mocking kinda way, but alright – I admit it, I tend to like them because well, to me, these films can only be American. I cannot imagine an Asian hipster film, I cannot imagine a European hipster film. Little Miss Sunshine, Juno – people say Juno reminded them of me, LOL – they can only be American. I grew up with Don Bluth’s and Disney animation. Now, I’m growing old with Pixar (oh, gawd… I’m growing old). I mean, anyone my generation who hasn’t grown up with Disney animation and Don Bluth’s work, they might not have had a childhood – unless, of course you’ve grown up with Studio Ghibli… in which case, hate you. 5. I love when you support World Premiere… even if it’s for sucky huge blockbuster films. I’m an impatient gal, if I want to watch a new film over the weekend, it needs to open locally over the weekend, otherwise my enthusiasm for the film will wane, and I’ll just end up catching it on dvd – or worse, on cable. Most major studios have offices in most major cities in countries, so now it’s easier to get a film to open on the same weekend as in the States. It just happened with that new Drew Barrymore rom-com, which opened one week after the US, and I’m pretty sure we’re getting Narnia and Harry Potter (not that HP is American, but it’s being distributed by Warner so…) the same day, or one day ahead. Now, if that could also happen with flicks like Black Swan, and other Award season flicks, I’d be a happy gal.